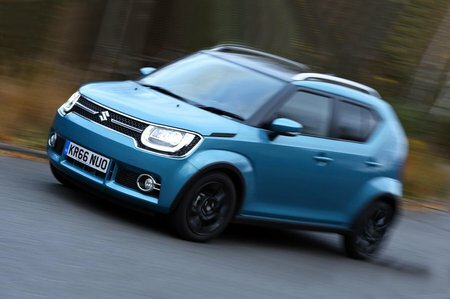 Suzuki Ignis 1.2 Dualjet SHVS SZ5 ALLGRIP 5dr 2019 Review | What Car? The addition of Suzuki’s ‘mild hybrid’ technology doesn't mean pure-electric driving, but its clever way of generating and storing energy helps the engine run more efficiently and, in turn, produce less CO2 and use less fuel. Four-wheel drive is also available as an option with this motor.